Only Quality 1st Concrete provides New Jersey residents with the most cost-effective and efficient method of concrete delivery. That's because we use specially designed mobile mixer concrete trucks equipped to complete your job, your way. The right mixture, the right amount, right on time. Traditional drum, or barrel, concrete mixer trucks are loaded with a specific amount of pre-mixed concrete which cannot be changed once the vehicles leave the plant. The result is no flexibility on the job site or for you. It means added costs and job delays, too, if a return to the plant is required to load more concrete to finish the job. What's more, the concrete transported in a drum mixer truck begins to break down, or degrade, rapidly within 45 minutes of it being mixed thereby lowering the quality of the concrete and the final product. How often has the barrel truck "run behind" and you ended up with bad concrete? 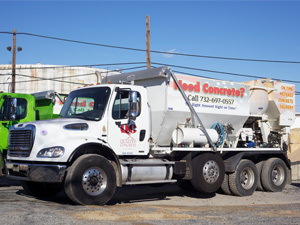 Our trucks always have fresh, creamy concrete that is ready-to-pour. Mobile mixer concrete trucks carry all of the ingredients (sand, water, concrete, coarse aggregate, and additives) necessary to produce concrete stored in separate compartments. Once at the job site, the ingredients are continuously metered and proportioned through calibrated controls into the mixing device which ultimately produces the concrete - giving you the freshest concrete available. The question behind a mobile mixer concrete truck is this: Rather than mixing a batch of concrete with a short shelf life at a remote location and trucking it to a job site, why not mix the ingredients right on the truck? Quality Concrete has answered the question with their mobile mixer concrete trucks and passed the advantages on to you. 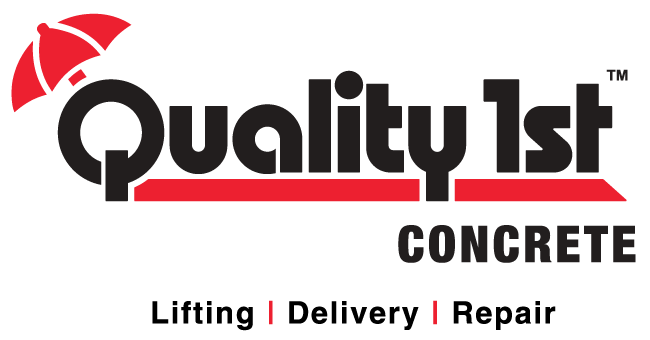 Quality 1st Concrete company works in Elizabeth, Edison, Woodbridge, New Brunswick, Union, Middletown, Plainfield, Linden, Old Bridge, Perth Amboy and nearby in New Jersey. Just contact us to get started! Pouring Concrete In East Brunswick, NJ. Mix materials and produce only the exact amount of concrete required to finish the job. This eliminates waste and overruns, and results in cost savings for customers. Produce the freshest, highest quality concrete ensuring an excellent finished product. Eliminate delays by carrying extra materials so that more concrete, if needed, can be mixed without returning to the plant. This also saves money because unused materials are not wasted or charged to the customer. Adjust the mix of materials according to the warm or cool weather conditions of the day. 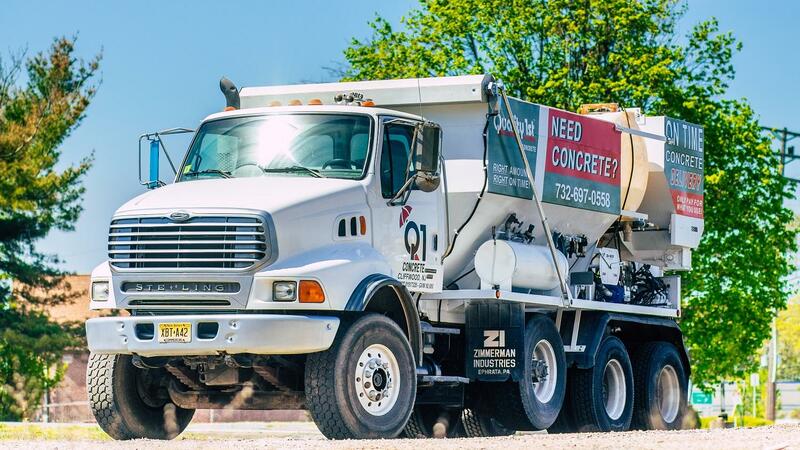 The trucks used by Quality 1st Concrete truly are batch plants on wheels, ready to get your concrete job completed to your satisfaction -- the right way. Quality 1st Concrete of New Jersey has more than 20 years of experience to meet your home improvement and concrete replacement needs. No job is too small or large and written estimates are always free. Our concrete specialists work on driveways and garage aprons, concrete flooring, sidewalks, curbs, slabs, and patios. We cover a wide area of New Jersey including the counties of Middlesex, Monmouth, Somerset, and Union. Contact us today for fast, professional service! Our mobile mixer concrete trucks are ready and waiting for you!